associate program that'll help you reach your full potential. Picture this scenario: you started out as a student, looking to grow your skills and find a great opportunity. Your efforts are rewarded with the chance to join the Scotiabank team, where you found all of that…and more. Flash forward to you being part of a winning team, passionate about the work you do, and gaining experience as part of a global, inclusive, forward-thinking company. Future you can smile at knowing you definitely made the right choice. Sounds good? Time to take the first step. What’s waiting for you here? When you’re in school, there are hard decisions to make; it's hard to choose the right career path. You might not be aware of all your options, where you will succeed, and ultimately, what you will love doing. What better way to find your path than to do a co-op placement or internship with Scotiabank, Canada's most international bank? During a co-op placement or internship, you’ll have the chance to discover what you love, network with peers, mentors, and industry experts—all while getting paid to do it. We offer internships and co-op placements in almost every line of business. It's the best way to get a seat at the table and take the first step in the start of an awesome career. Our programs start every January, May, and September. Look for our postings at your career centre, on your online portals and, of course, come to meet our amazing campus team. Congrats! You’ve officially graduated. Now what? Well, if you've completed an internship or a co-op placement with us, you already know we can help you launch your career in many directions that ignite your passions. If you’re new to Scotiabank, you're here, which means you’re curious—And we love curious! 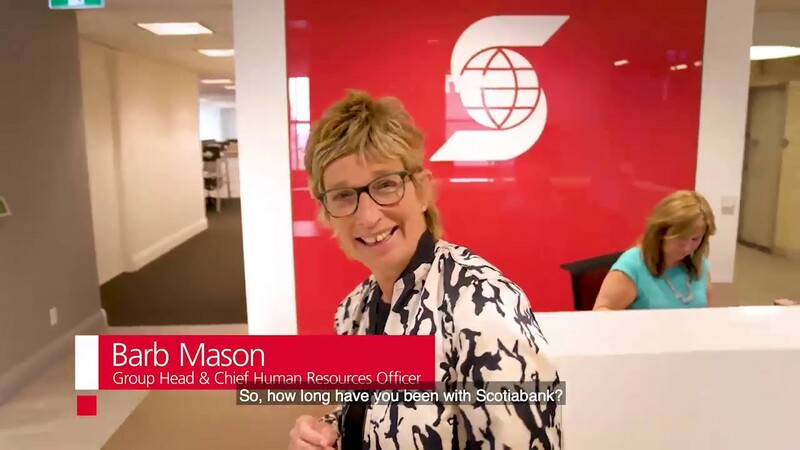 We’re powered by a diverse, worldwide team of 96,000 Scotiabankers, so we’re hiring year-round. Our Analyst and Associate Programs start hiring in the Fall and Winter for the following Summer and Fall (depending on the program). We take great pride in our programs, and work hard to make sure they provide our student candidates the best development opportunities available. Interested in learning more about our internship, co-op, analyst and associate positions at Scotiabank? Say hello to Scotiabank Campus, a LinkedIn group created for you to connect with recruiters and keep track of when we’re on campus. Use this group to discover opportunities across our multiple business lines, connect with other young talent, and ask questions while exploring your career at Canada’s most International Bank.